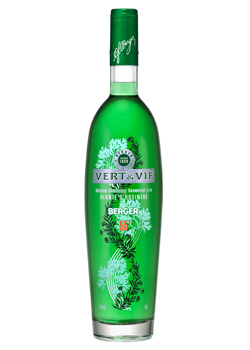 Vert & Vif Authentic absinthe made from six different plants to yield a rich lemon, floral and herbaceous aroma. Berger is one of the historic producers of this premium globally recognized spirits noted for its refreshing spicy floral scent and mild bitterness. Absinthe is the “new” fashionable drink among creative people just as it was a century ago among the world’s rising artists and writers.